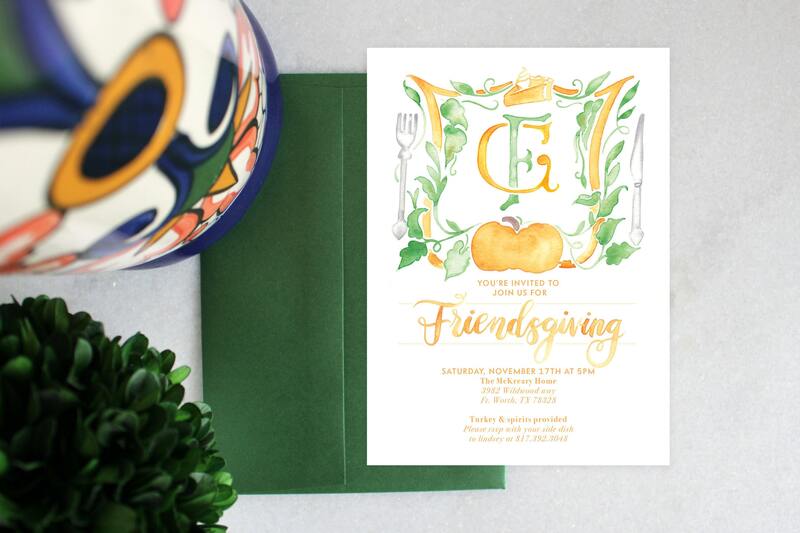 Gathering around the table with friends for the holidays is such a gift! 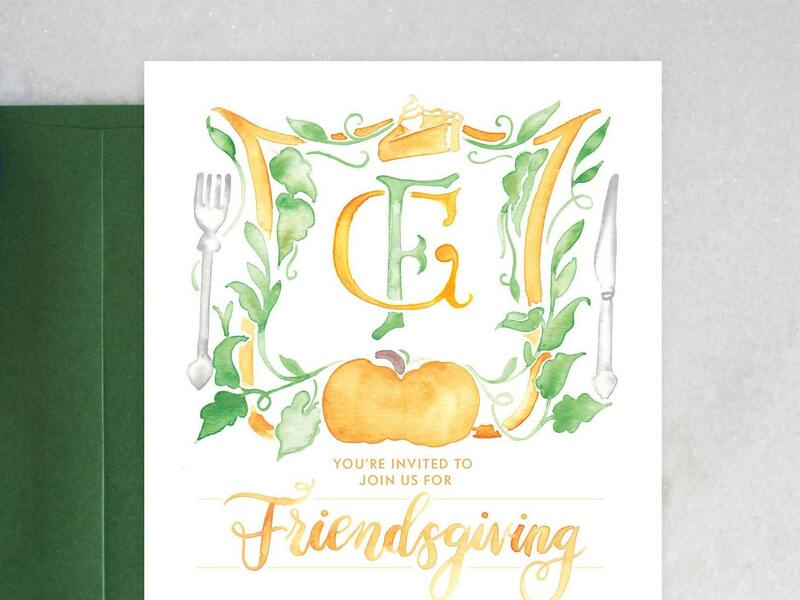 Celebrate your friendship by hosting a Friendsgiving dinner, setting the tone of your party with our pumpkin crest Friendsgiving invitation! - Any other details you'd like to include (ie. Who is providing dishes, etc).